Ever since we drove up the hill to Park City to dine at The Nelson Cottage, I haven’t stopped talking about the meal with encountered. 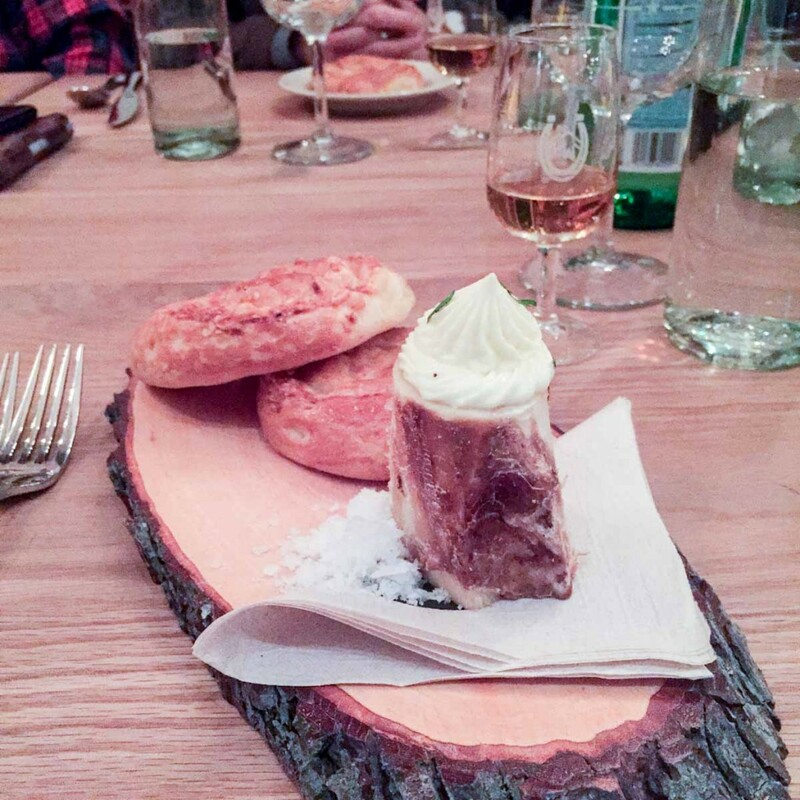 Did you know High West Distillery just opened up a new pre-fix menu restaurant?? It’s easy to miss but its stealth is part of its charm. 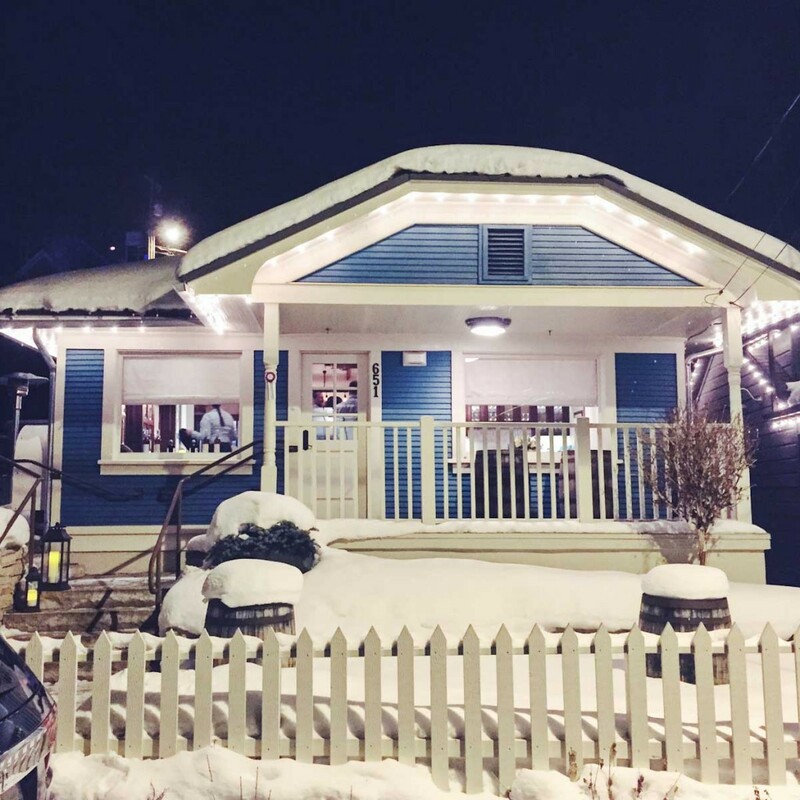 The cute blue bungalow is just one door down from the popular, and often times hard to get into, High West Distillery restaurant and saloon. 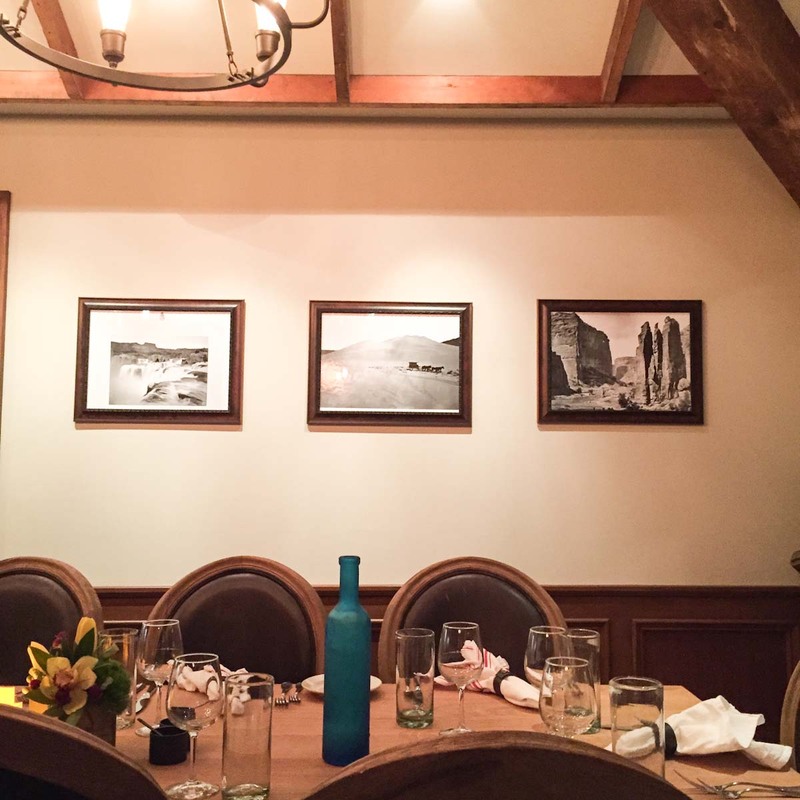 What should you expect when dining at The Nelson Cottage – expect your tastebuds to be become new friends with new flavors and expect a brand new experience all its own. 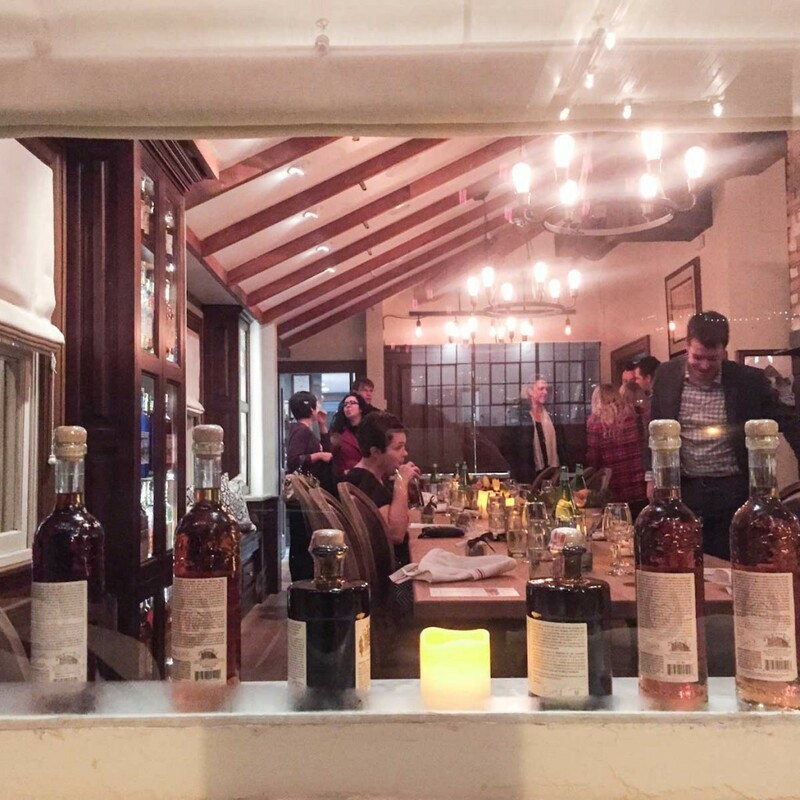 One of my favorite parts of our evening was learning how to sip and savor my whiskey. The whiskey missionary of the establishment, Terry, will guide you through how and when to sip throughout the meal, and he’s an entertainment himself! You’ll also learn the process of making whisky and its many uses and byproducts. 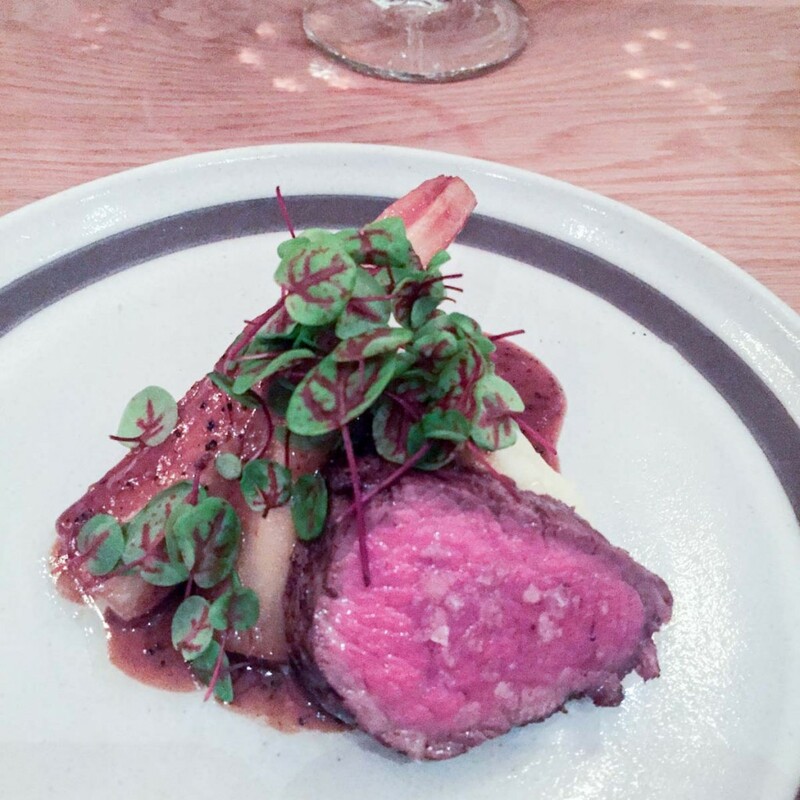 Our meal was a feast of the senses, starting with bone marrow whipped butter and local cheddar brioche, to coffee roasted bison tenderloin, with several more courses in between. And I won’t soon forget the dessert of decadent date caramel cake swimming in creme anglaise and topped with candied kumquats. Every evening will be unique at The Nelson Cottage so come with an open mind and an empty stomach and you’ll be sure to leave with much more than you came with.